In the developed world, medical practitioners, backed by medical researchers, know a lot about many illnesses and how to cure and prevent them. Vaccination programmes have reduced the incidence of many diseases, while better diet and more hygienic living conditions have given improved resistance to infections. Yet we’re not all glowing with good health. The reasons for this are complex. Many factors (genetic, environmental, dietary or social for example) intertwine in the age-old battle for human health. Although infectious illnesses can cause epidemics among groups or populations, it is also possible for highly infectious diseases, such as tuberculosis, to affect only a minority of individuals within a group. Rather oddly, illnesses which are not considered particularly infectious, such as glandular fever (caused by the Epstein-Barre virus) can affect many members within a group. Resistance to illness depends on the strength of an individual’s immune system. Within a normal population, those most vulnerable to illnesses and infections are the very young, in whom the immune system has not yet developed properly, and the very old, whose resistance may have been undermined by many different factors. People of any age are prone to illnesses if they have suffered physical hardship and deprivation, especially in war situations or forced labour camps, or mental distress, such as examination pressures, relationship problems or work worries. The more depleted our energy levels, the greater our vulnerability to illness. The effects of common illnesses include a raised temperature, high pulse rate, high blood pressure, runny nose, sore throat, breathing difficulties, cough, headache, upset stomach, changes in your urine and urine production, night sweats, unusual sweating after only minor activity, or fatigue. Your skin may be affected by rashes or spots. Your tongue can become coated or discoloured. There may be inflammation, redness or other signs affecting the eyes and eyelids. Glands may swell up, especially in the back of the neck or the throat. There may be joint or muscle pains, muscle spasms, strange sensations such as tingling, loss of balance, distorted vision, dizziness, and difficulties or loss of control of the normal functions of passing urine or faeces. You may be aware of feeling unwell, “under the weather”, “low”, “poorly” or unusually tired. When the immune system is undermined, our energy levels are usually low, but in some cases they can be abnormally high. It can happen that the first sign of illness is a feeling of unlimited energy and a need for action. Once the illness is established, energy levels drop dramatically. Confusingly, sometimes illnesses occur without making us feel unwell. There may be subtle or misleading symptoms. For instance, you might think your sudden stiff neck was due to sitting in a draught, or sleeping in an awkward position when in fact it is the first sign of a viral-type infection. This is extremely common, and one pattern is for the illness symptoms to come out some days after the neck pain has started. Sometimes the neck pain disappears as symptoms like a sore throat, running nose or cough appear. Normal treatments for neck pain, such as manipulation, usually make no difference in this situation until the illness has passed. Pain in the middle or upper back region, on one side or the other, can feel just like a muscle strain, yet may be the first sign of pleurisy (inflammation of the lung covering). Pain in the left shoulder region can simulate a joint injury, but might also be the early symptom of a heart attack. Pain in the region of the right shoulder can be linked to stomach problems. When you are aware of feeling ill, especially if the symptoms last more than a couple of days, you should refer to your doctor for diagnostic checks as necessary (perhaps X-rays, blood tests or other forms of screening) and appropriate treatment. If you are prescribed medicines, especially antibiotics, you should also rest, preferably in bed. If you have a child who is ill, diagnosis and proper care are essential to avoid the possible serious problems which can occur, for instance if meningitis is not recognized and treated in time. Doctors and practitioners don’t pretend to know everything, and they can make mistakes. Every patient has the right to question the doctor, to refuse treatment, and to seek further medical opinions. With more information available about most illnesses, especially over the internet, and with increasing openness by medical practitioners, patients can make well informed decisions about how to deal with health problems, if they so wish. In order to get the best from the doctor or specialist, the patient in turn has to be open, and provide full relevant details of what the problem is, and any other opinions or treatments that might have been given. If you are accepting treatment from a practitioner, you must be guided by that practitioner, and seek advice before trying any self-help measures. Illness is a signal that it is time to give the body a rest. All too often, we try to ignore or suppress the symptoms and carry on as normal. These are mistakes which can lead to prolonged ill-health, recurrences of illnesses, or long-term debilitating conditions like chronic fatigue syndrome and myalgic encephalomyelitis. In the worst of cases, doing strenuous work or exercise with an infection can damage the heart and even cause death. 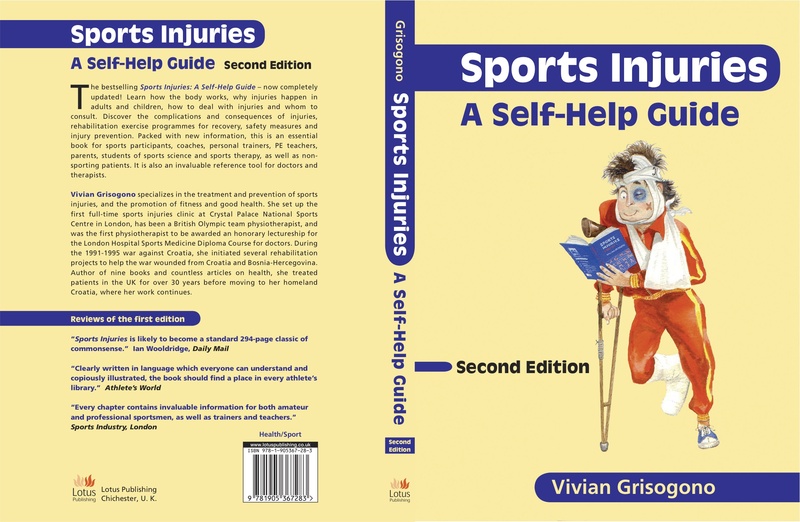 If you are physically active or play strenuous sports while you are ill, you can easily injure yourself, as your joints and soft tissues are more vulnerable to over-strain when your immune system is undermined. To cure most illnesses it is vital is to rest completely, and drink plenty of water. A day or two in bed at the start of any illness can significantly reduce its severity and speed up the recovery process. If total bed-rest is impractical, the next best alternative is to lie down at every possible interval during the day, even if only for five or ten minutes at a time. If you allow your body and mind respite, you give the natural defences of the immune system a chance to come into action, to fight off the infection and then replenish the energy systems. If you are confined to bed for more than a few days, you will need to do anything you can to help your circulation and to avoid pressure sores. Circling the feet, tensing and relaxing the leg muscles, lifting and lowering your arms, clenching and relaxing your hands, and changing position at frequent intervals are all part of this. Make sure your doctor agrees before trying to use breathing exercises during illness. Breath control and deep breathing exercises help to calm your pulse rate and blood pressure, clear the airways in the lungs, maintain lung elasticity and keep the lungs functioning as fully as possible. They are also useful for relaxation, and can help you to sleep better during your illness. They are especially important if you are confined to bed for an extended period. A productive cough is a chesty cough where you can hear and feel excess sputum or phlegm in the lungs, often with a distinctive rattling sound. When you have a chest infection, breathing exercises can help clear infected fluids from the lungs. A simple way of doing this is to lie on one side, and take 3-4 deep breaths, making sure that your lower ribs expand as much as possible. Have a rest, then repeat the deep breathing 2-3 times. Sit up and cough 2-3 times, and if possible spit out any sputum or phlegm into a tissue (or a disposable pot if there is a lot of it). Note the colour of your sputum, which might be clear, white, yellow, brownish, green, and may contain blood stains. This is information your doctor needs. You may be asked to produce a small specimen of the sputum for laboratory analysis. You can repeat the process of deep breathing and coughing a few times on one side, and then turn over on to the other side to clear the other lung. If one side is worse than the other, do more exercises for that side. Always pace yourself carefully. If you become light-headed or over-tired, rest, and don’t do any more breathing exercises for a couple of hours. 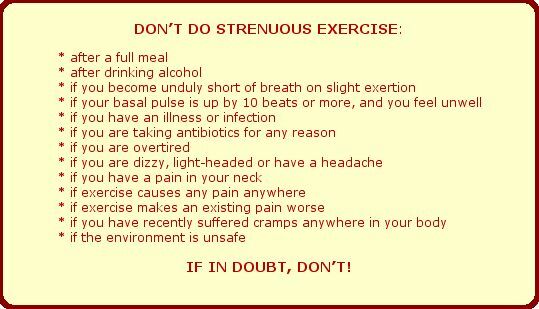 If you don’t have any adverse reactions, you can usually go through these exercises about every hour. Try to keep the cough controlled: if you cough too hard without being able to breathe in between coughs, you may drive the sputum deeper down into the lungs instead of bringing it up. A really bad hacking cough which you can’t control can cause fainting (technically known as cough syncope) by momentarily blocking the airways and cutting off the brain’s oxygen supply. To help loosen thicker phlegm, you can use steam inhalations. Put boiled water in a heatproof bowl on a table in front of you. Place a towel over your head and lean over the bowl, so that the steam enters your nostrils as you breathe. Then do a few deep breaths at a time. You can do this for just a few minutes or as long as the steam lasts, if you are comfortable. The inhalations can be repeated as necessary. For a sore throat or irritating dry cough, gargling can help relieve the symptoms (unless your doctor specifically advises against it for any reason). You can gargle with many different substances. One natural remedy that is often recommended is tea tree oil: you put one or two drops in a tumbler of warm water, gargle so that the fluid bathes your whole throat, and then spit the fluid out, repeating the process until you have emptied the tumbler. In some illnesses, eating is difficult if not impossible, either because of a physical block like a bad sore throat, or because of loss of appetite. If possible, you should try to take in nourishment in the form of liquid foods, such as soups or nutrient drinks. Fresh fruit and vegetables are extremely important. It is often recommended to boost your intake of vitamins and minerals, especially vitamin C, by taking supplements. It is also important to avoid substances which undermine the immune system, especially irritants like coffee, black tea, fizzy drinks, and alcohol. In cases of severe weight loss due to illness, a nutritionist may be asked to help. Most common illnesses are infectious to some degree. None of us likes to be infected. So it’s common sense and courtesy to avoid spreading illnesses around, whether minor colds and coughs or more major infections like lung disease or HIV. If you are coughing and sneezing, stay at home. Don’t travel on crowded public transport or go to school or the office where other people can be infected with your germs. Dispose of used tissues carefully, or wash any dirty handkerchiefs as quickly as possible, making sure others don’t handle them. Always wash your hands, especially after wiping or blowing your nose, before touching things that others have to handle, and especially if you have to prepare food for other people. It is vitally important to recover as fully as possible from any illness. Feeling better is not necessarily the same as being cured and back to full health. Sometimes there is a feeling of boosted energy and a kind of euphoria in the aftermath of an illness. Unfortunately, this often happens before the illness is quite over, but the sense of relief as the worst of the symptoms disappear can tempt us to celebrate returning to normal life with a burst of activity, such as fulfilling a heavy schedule at work, cleaning and polishing, rearranging the furniture, digging the garden, going for a run, doing an aerobics class or playing a hard game of squash. Relapse usually follows. The longer an infection lasts, the worse its effects. As the immune system becomes more and more undermined, new infections can take hold more easily, increasing the risk of a more serious illness. This is a common pattern leading up to potentially longer-term debilitating illnesses including glandular fever and myalgic encephalomyelitis / encephalopathy (ME). A raised temperature is a sure sign of illness or infection, and should be taken as a warning to avoid strenuous activities and sports which might damage the heart. Another warning sign is a raised pulse. Your basal pulse rate is your pulse count first thing in the morning, before you get up and get going on the day’s activities. Your pulse rate varies for all kinds of reasons, including stress, alcohol, caffeine and excitement, and if these have been present the night before, your basal pulse may be affected, without it meaning that you are ill. However, if your basal pulse is up by ten beats or more from normal, and if you are feeling low and over-tired, or you have early symptoms of an infection, you should not over-tax yourself physically until your basal pulse is back to normal and you feel well. The basal pulse is a good guideline when you are recovering from lingering illnesses like glandular fever. It is essential for sports players who are trying to recover fitness as well as health. You should record your basal pulse, activities and progress in a diary, so that you have a clear idea of how you are getting on, and what causes any setbacks you may experience. It helps if you know what your basal pulse is when you are healthy. Even if you only start checking it when you are ill or recovering, it can help you assess your progress, as the basal pulse will go down gradually as you get better. It’s not always possible to avoid getting ill, especially if you live and work in a city where you are unavoidably in close contact with large numbers of people. In all circumstances, the immune system is the key to avoiding illnesses. It will be at its strongest if you eat a healthy diet, including plenty of (preferably organic) fresh fruit and vegetables, and minimizing or excluding caffeine, alcohol, junk foods, refined flour and refined sugar. Plenty of plain water is a basic requirement for health. There are numerous herbs and herbal remedies to help strengthen the immune system. Many people choose to boost the immune system with vitamin and mineral supplements. If in doubt, always seek professional advice from your doctor, nutritionist or other practitioner. Good hygiene practices are essential too. Many germs are transmitted by touch, so it is sensible to wash your hands before eating or preparing food, and even before touching your face, mouth and eyes. Environmental pollution plays a part in undermining the immune system. In heavily polluted cities, it is now common practice for cyclists to use face masks. At the very least, you should avoid walking, running or cycling along busy roads with heavy traffic, if at all possible. Stress, tiredness and negative emotions such as depression and anger all make us more vulnerable to infections, so avoidance of these is a worthwhile, if often difficult goal. When you are over-tired and stressed, it’s hard to maintain the normal pattern of your activities. Trying to keep going makes you more and more tired. The more tired you are, the more difficult it is for your immune system to build up enough strength to fight off infections. Conserving energy and pacing yourself are important for everyone, but most especially for those who suffer from an underlying condition like multiple sclerosis, which risks getting worse if you over-tax your energies. Building in rest and relaxation periods to the normal day, even for as little as ten minutes at a time, can be invaluable for allowing the body systems to regain strength and vitality, and therefore resistance to illness and disease.